HSE and waste - who does what? There are many activities that fall outside the HSE’s areas of responsibility. HSE’s primary role is to protect those at work in waste and recycling activities and anyone who might be affected by that work e.g. members of the public. Instead, they may be covered by powers held by other national or local government bodies. It is the Local Authority who has responsibility for waste and recycling collections in a particular area. That service may be provided directly by the local authority itself or it may have contracted out the service to a specialist contractor. In either case the first point of contact for issues relating to the collection of your waste or recyclables should be the Local Authority. Another useful source of information on waste and recycling services can be found at the Waste Resource Action Programme (WRAP) site. Local Authorities are empowered to deal with a wide range of issues that are not the responsibility of the HSE. Usually these matters (e.g. odour, noise, vermin infestation) are dealt with by the Local Authority's Environmental Health or Services Dept or on some cases the Environment Agency (or Scottish Environmental Protection Agency in Scotland). HSE is not responsible for planning permissions for the siting of or permitting of waste and recycling facilities. Those aspects are dealt with by Environment Agency (or Scottish Environmental Protection Agency in Scotland) and the local authority in which the activity takes place. HSE is not responsible for determining the suitability of applicants and issuing of scrap metal dealer licences. Local authorities have sole responsibility. The Waste Industry Safety and Health (WISH) forum is a multi-party forum made up of organisations broadly representing the waste and recycling industry. WISH members include representatives from HSE, main trade associations, professional associations, trade unions, recycling organisations and national and local government bodies involved in waste management and recycling. Its purpose is to provide information, identify solutions and stimulate action across the industry to ensure the health, safety and well-being of those working in the industry and those affected by its activities. Further information on WISH, it's members and the work it is currently undertaking can be found on the Waste Industry Safety and Health page. What are the hazards associated with waste and recycling activities? Additional information on the source of the hazards, the risks they pose and reasonably practicable control measures that can be used to prevent or control exposure can be found on the occupational health page. HSE is not the Enforcing Authority for issues relating to odours and complaints should be referred to the appropriate Local Authority, Environmental Health Department or Environment Agency (or Scottish Environmental protection Agency (SEPA) in Scotland). Composted material may have a distinctive smell, depending on the feedstock, for example if it contains a large proportion of pine branches there will be the characteristic resin smell. The volatile chemicals responsible for smells are gases, which are smaller in size and lighter than particles of dust and bio aerosols (mould spores and bacterial cells in the air) behave like small particles of dust. Consequently, gases can travel further in the air than the heavier particles, which drop from the air under gravity. Some odorous gases can be smelled at extremely low concentration. Sometimes, if composting activities are poorly managed, the compost becomes 'anaerobic' (oxygen starved) which causes the bacteria in the compost to create different chemicals with unpleasant smells. In many cases, this can be avoided: if it occurs you should complain to the compost site or bring it to the attention of the local authority. Bioaerosols, including those from compost, are like any other small dust particles in the air. They can move and be carried along in air currents before falling to the ground under gravity. If the wind direction and strength is known, it is possible to predict in what direction and how far a bioaerosol will travel away from the source of its release. As it is carried by air currents from that source, it will be dispersed and therefore diluted in concentration as it mixes with the surrounding air. Local conditions will affect this; for example, the warmth from a compost pile will make the bioaerosol rise higher in the air, and nearby buildings, trees, fences etc will also push the air current higher into the air, causing more mixing with the surrounding air and dilution of the bioaerosol. Most published studies on compost bioaerosol exposure and health have focused on the exposure of workers on sites handling the material, because their exposure will be greatest. Some studies have looked at the effect of composting activities on surrounding bioaerosol concentrations. A limited number of studies have looked at the health of nearby residents. While it is recognised from these studies that under certain conditions composting activities nearby may raise bioaerosol concentrations above background levels, these concentrations are much lower than would occur on a composting site near to compost material being handled. There is no reported evidence of significant increase in ill health in residents near composting sites in these situations. The lungs of a healthy person are capable of being exposed to relatively large concentrations of micro-organisms without ill effect. Parts of the waste management and recycling industry have problems dealing with unwanted or unidentifiable (‘orphaned’) compressed gas cylinders that turn up in the waste stream. In addition, other cylinders such as fire extinguishers can contain small internal CO2 cylinders under high pressure. Discarded cylinders which still contain containing compressed gases, (or which are apparently empty but in fact still contain some residual content) commonly appear in the waste stream, especially at civic amenity sites and metal recyclers. The quantities of compressed gas cylinders on a civic amenity sites or metal recycling site should be kept as low as is reasonably practicable within the limits of the safe storage facilities that have been provided, and they should be collected on a regular basis (see below for details on collection). It may take quite some time for smaller civic amenity sites and metals recyclers to accumulate sufficient cylinders to require a collection. Particular problems can arise when cylinders that are concealed within other metal waste is processed at metal recycling sites. Rupture of the cylinders within the fragmentisers or shredders can cause explosions. Sites should have suitable systems in place to remove, so far as reasonably practicable, all cylinders from the waste stream prior to reduce the potential of such incidents. When does LOLER apply to waste and recycling equipment? LOLER applies to lifting equipment provided for use as work equipment. Lifting equipment comprises any machinery used for lifting and lowering loads, and includes any supports or anchoring fixtures. It also applies to lifting accessories, which are pieces of equipment used to attach the load to lifting equipment, thereby providing a link between the two. LOLER requires lifting equipment and accessories to be marked with the Safe Working Load (SWL) and/or a Working Load Limit (WLL) and be subject to statutory periodic 'thorough examination'. Equipment capable of lifting people should be thoroughly examined every six months. Records must be kept of all thorough examinations and any defects found must be reported to the person responsible for the equipment. If the defect is (or could become) a danger to people, then the relevant enforcing authority must also be notified. In addition all work equipment will require maintenance under PUWER regardless of whether it needs a thorough examination under LOLER. Material Handlers (e.g. 360o excavators) permanently fitted with grabs, forks, magnets etc. Material Handlers (e.g. 360o excavators) fitted with detachable grabs, forks or magnets etc. The training requirements for drivers of plant eg shovel loaders, excavators, fork lift trucks (FLTs), telehandlers etc. in a waste and recycling setting will be no different to other industry sectors (e.g. general manufacturing, construction and agriculture). Driver competence is judged on the basis of experience, recognised training (formal training – either deliver in-house or externally) and testing of knowledge and ability. No-one should be allowed to drive (operate) a vehicle unless their employer has authorised them to do so in writing. The employer should not authorise a driver unless the driver has received adequate training and the employer is satisfied that the driver is competent to operate the shovel loader. Certificates of training from recognised training schemes help demonstrate competence. But employers are perfectly entitled to devise and operate their own in-house training schemes - this is especially the case with some larger companies. While employers may operate their own in-house training schemes, they should have similar content to the more formal training courses that are available. Furthermore, they may find it useful to have the courses delivered by an Accredited Training Provider. Further information on plant operator training and general training requirements can be found on the Waste and Recycling Training page. gastroenteritis (symptoms include stomach cramps, diarrhoea and vomiting). waste from non healthcare activities, for example wastes from body piercing or application of tattoos. Offensive/hygiene waste should only be processed by licensed facilities capable of safe handling and disposal. Other ‘clinical’ waste as defined under environmental legislation as ‘hazardous healthcare wastes that is hazardous from its infectious nature or its medicinal or chemical properties’ should be handled, transported, treated and disposed of as set out in guidance from the Environment Agency website and the Department of Health. The selection and provision of hygiene facilities on collection vehicles should be risk based. Where it is not reasonably practicable to prevent exposure appropriate protection measures should be selected using the following hierarchy of control (Regulations 7(3) to 7(6), COSHH 2002). These control measures can be provided separately or in combination (and in conjunction with other measures, eg. provision of personal protective equipment). Alternative control measures can be employed if it can be demonstrated they are the most effective and reliable control options. The key is to develop a set of control measures that are effective, reliable, practicable and workable to control exposure adequately. Employers should consider the efficacy, as well as pros and cons associated with use, of the measures selected to determine if exposure is adequately controlled. Employers should be able to demonstrate the basis upon which they have selected the control options including appropriate hygiene measures. Where fitted, hand wash basins should be maintained in good working condition. Where provided, employers should ensure sufficient stocks of hand wipes and hand gels are available. Emergency decontamination procedures and arrangements should be provided. For example, during collection activities if gross contamination occurs (eg from split bags, contact with animal and human waste, acids, alkalis etc) the provision of hand wipes and/or gels alone is unlikely to be sufficient. Where such circumstances are foreseeable, emergency arrangements should be provided, including for example, additional measures that will assist with cleaning (such as a readily available bulk supply of clean water; identification of locally available welfare facilities etc.). Adequate information, instruction and training will need to be provided to employees. This will include information on how to use the controls provided, maintain good personal hygiene and deal with incidents of gross contamination. Supervision and monitoring will be needed to ensure that the measures provided are properly used. The provision of appropriate hygiene measures does not affect the need to provide other control measures, such as suitable personal protective equipment (PPE), including appropriate gloves etc. What steps should I take to manage access to large waste and recycling bins? Simple measures can help those who manage storage bin areas and collect bins, to reduce the risks of people being able to get into large commercial and communal domestic bins and being killed or injured. What precautions you need depends on how foreseeable it is that people can gain access and get into the bins and how likely they are to be found if they have got in. stopping the compactor quickly as soon as employees realise someone has been tipped into the collection vehicle. The types of bins involved are normally larger ones (typically 660 litres capacity and above with four wheels) used for commercial and communal domestic collections, euro carts, front-end loader containers, paladins and skips. Cases involving smaller wheelie bins (typically 120 litres with two wheels) are rare. Waste bins sometimes have warning signs attached to them about the dangers of sheltering inside and/or reminders to check before emptying. These are useful (more so if pictures are used to overcome literacy and language difficulties), but are not required to achieve compliance with the law. As a waste producers and/or businesses managing bin storage areas what do I need to do? As a waste collector what do I need to do? supervise employees to ensure the necessary actions are taken. How should bins be checked for people inside? physically disturbing and rummaging around in the contents is not necessary and should be avoided. where bins are being emptied by front-end loaders, tapping/banging the bin on the floor using the lift mechanism is also recommended before emptying. What should waste producers and other waste businesses concerned do if people are found in bins? how people are likely to behave, especially the potential for becoming aggressive and possibly violent (see advice in the Violence pages and in HSE’s leaflet ‘Violence at work: A guide for employers’). report any fatalities or serious injuries to people needing treatment in hospital in accordance with the Reporting of Injuries, Diseases and Dangerous Occurrences Regulations (RIDDOR) 2013.
take the information into account when deciding whether the existing control measures are adequate and whether any improvements are needed. How do I safely stack bales of waste material? Unsafe stacking of waste bales can result in them falling and/or stacks collapsing. The principles below are aimed at the stacking of bales of waste material such as paper, plastics, and metals. Some of the principles may also be relevant to non-baled waste materials that are routinely stacked “loosely” such as tyres. The type of material being baled, as well as the shape, size, weight and density of bales, will all affect stack stability. Stack configurations and methods of stacking may differ considerably from one bale type to another. the placing and removal of material in and around stacks and bale storage areas which may affect their continuing stability e.g. 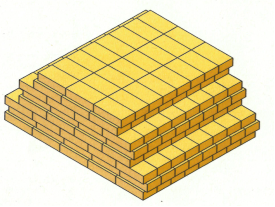 potential of stacks being struck by moving vehicles or from nearby materials being stored unsafely. 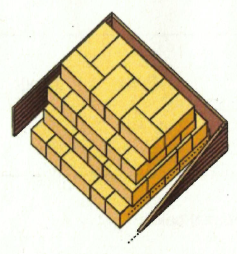 providing a safe system of work for the re-stacking of bales where the existing stack has a sheer or unstable face, following the placing or removal of adjacent material. poorly produced bales, (which should be identified for re-baling and not stacked). where potentially unsafe stacks are identified, measures should be put in place to prevent pedestrians from approaching them on foot until they are made safe. assessing and implementing the use of vehicle protective systems (e.g. falling object protection systems (FOPS)) as a form of protection for operators dismantling unstable stacks or storage areas. All operators, team leaders and managers involved with the stacking and storage of bales, (or who may use the areas where bales are stacked and stored), should receive suitable information, instruction, training and supervision to ensure that reasonably practicable precautions that have been identified are implemented and maintained effectively. Is handling two wheelie bins at a time acceptable? Are the bins full or partially full? Are the bins equally loaded? Are the two bins of the same size? Is there sufficient room to manoeuvre two bins? If an employer decides that there are circumstances where handling two bins can be permitted, the locations or types of properties and capacity of bins where this is permitted/not permitted will need to be specified. Loaders should follow their training and the safe systems of work for handling wheelie bins. If they choose to handle two bins at once they should also consider the above factors, if they can work within their capacity and do not create additional risks. If in doubt, they should make separate trips with each bin. Handling bins once they have been emptied is easier, so handling two empty bins may be acceptable due to the significantly lower weight. *There may be other reasons why handling two wheelie bins together rather than one at a time (e.g. due to potential damage to property and the bins) which may influence the decision as to whether this practice can be permitted.